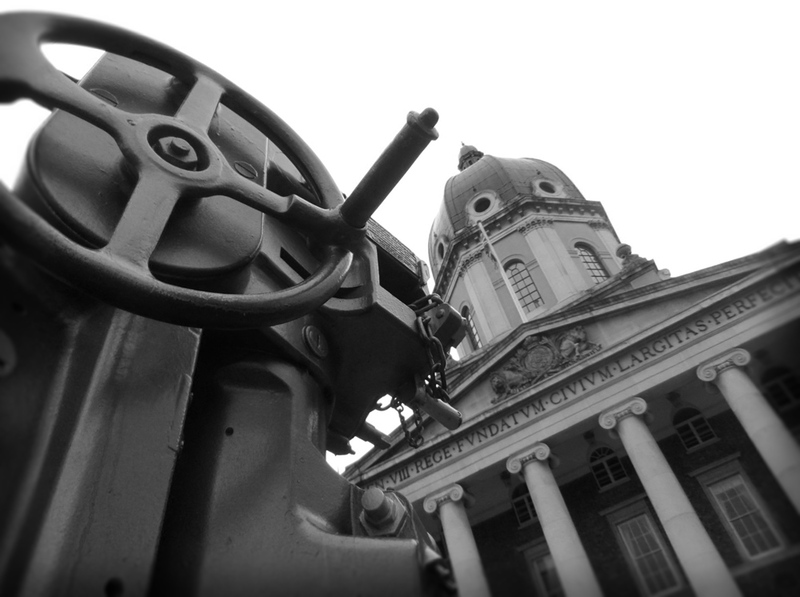 In February we decided upon a weekend trip to London, originally to go to The Imperial War Museum and a cinema event at the Troxy. I had been waiting for a free day to visit the museum and we were so excited about it! After a rather bad night at a Premier Inn (Angry Welsh drunks shouting down the corridor and the receptionist pumping up the volume of the foyer music to ease her boredom), we got dressed and gleefully made our way to the IWM. I can honestly say that I shed a tear as we were met at the door by a security person who told us the museum was closed until late summer and that most of the WWII exhibits were being relocated to Duxford. My insides were throwing toys out of my pram as I tried to outwardly keep composure, but the poor lady saw how mortified I was. We decided to check out Churchill’s War Rooms instead as we were dressed up, so made the trek to St James’ Park over the river. The ticket price was £17 each, which seemed a tad steep, but did include an audio tour in the form of a handset. 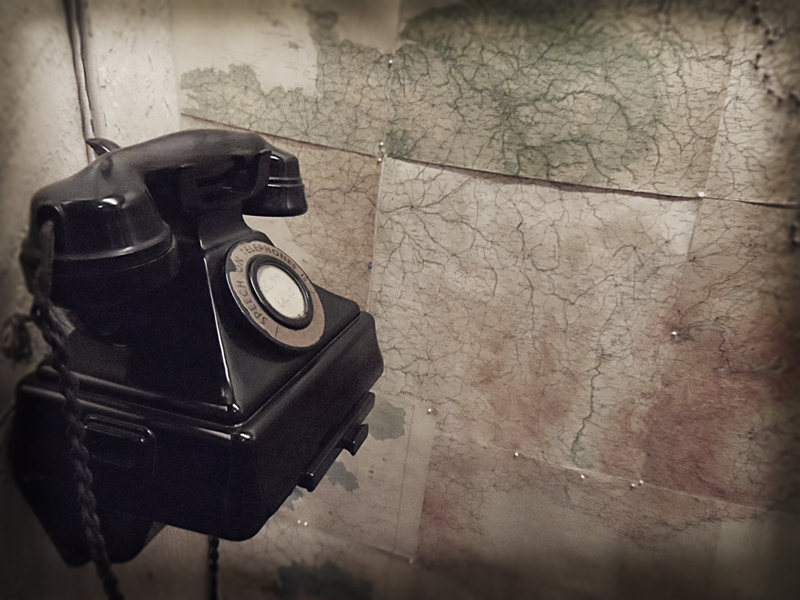 The cabinet war rooms are a maze of tunnels and rooms below the Treasury building and feature original fixings, furniture, maps and phones. You definitely need the audio guide as you walk around as it is the only thing to explain what you are currently looking at. This is nice in a way as walls are not covered with descriptions, but not great for deaf visitors (although I am sure they must have a special free guide book for that purpose). 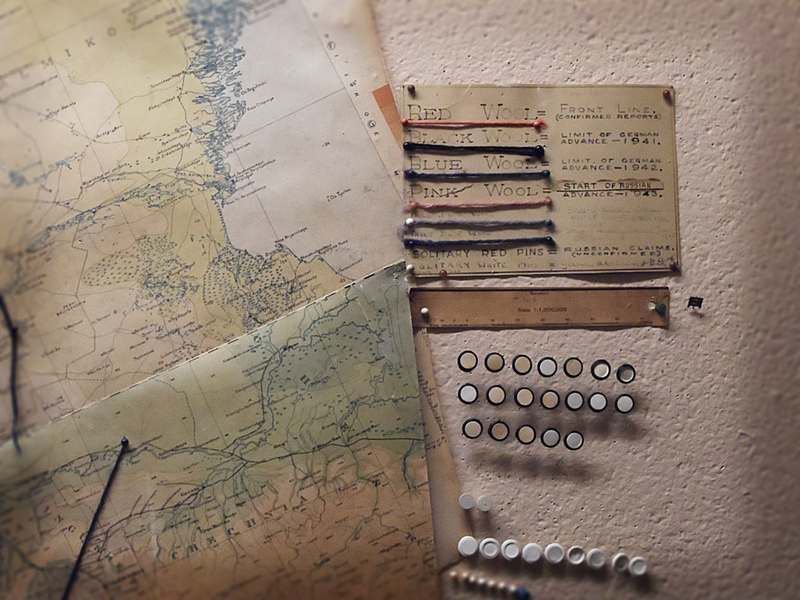 I especially liked looking at the old war maps with their pins, string and roughly penned sunken ships and notes. The coloured scramble phones were also amazing (look out for the green handled ones that were used for top secret, highly important information!). 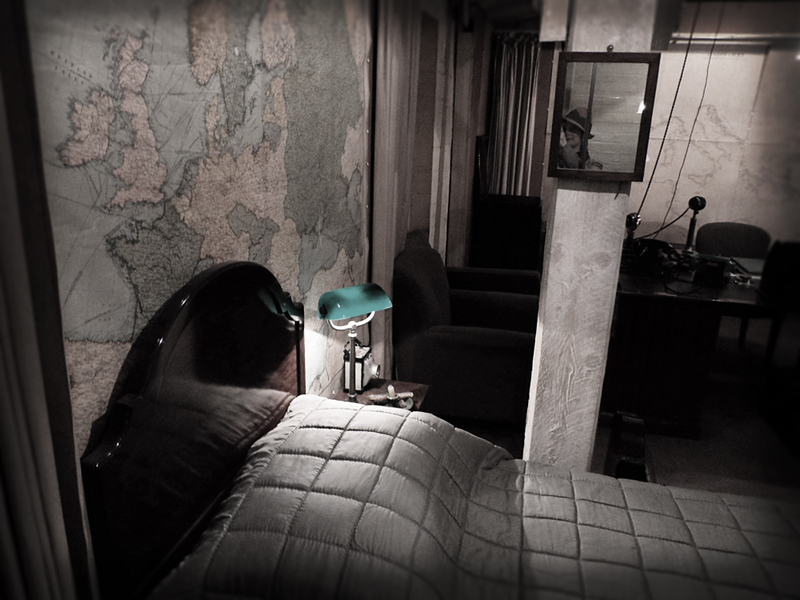 It was also great looking into Winston’s bedroom and his wife’s room further down the corridor. They had even gone to the trouble of putting out one of his cigars on the bedside table ashtray! Lighting is extremely low in the War Rooms and as the doorways to rooms are covered with clear perspex, this makes it difficult to take good photos, so excuse my efforts! 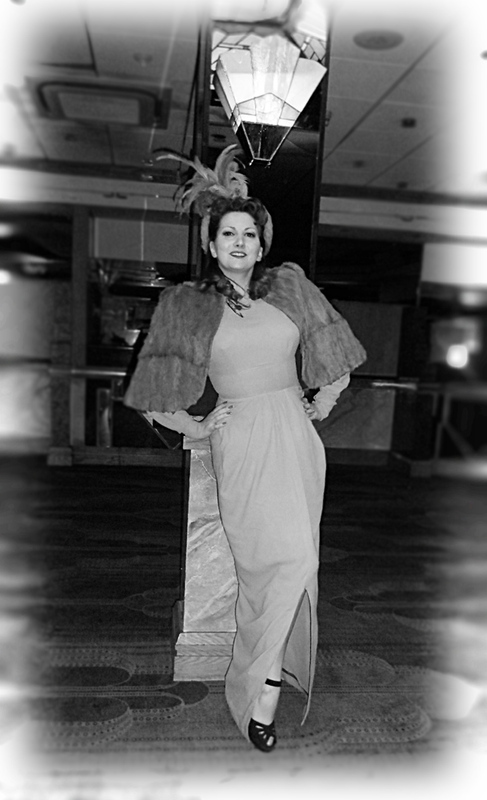 The next day we dressed up in our finest to go to the Future Cinema event at The Troxy. 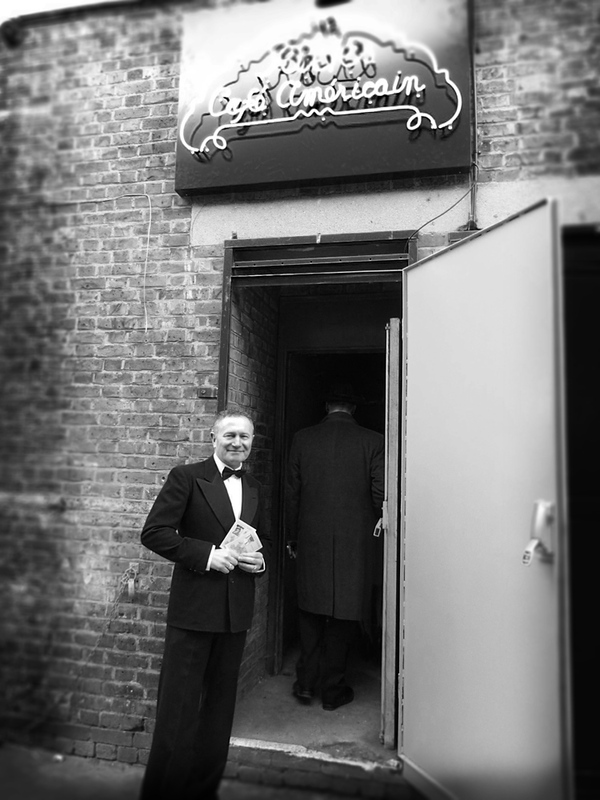 This time it was Casablanca and the theming of the place was perfect. 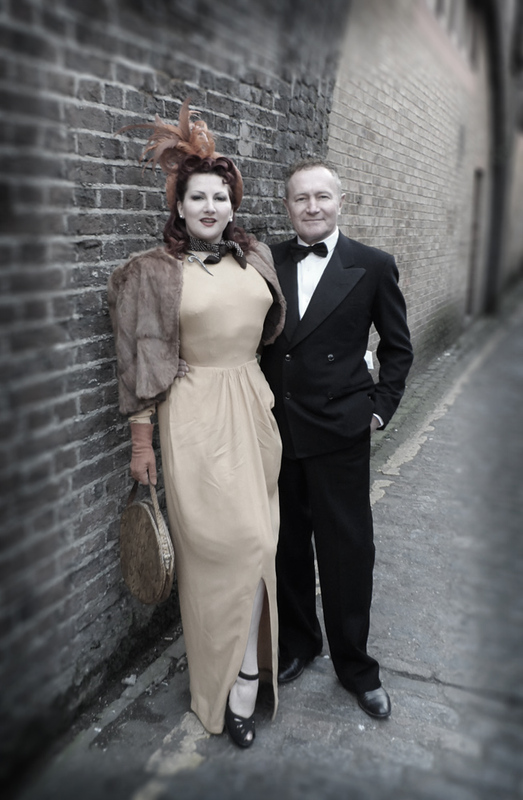 Richard and Kitten Von Mew outside the Troxy back entrance. Interior of the Troxy. 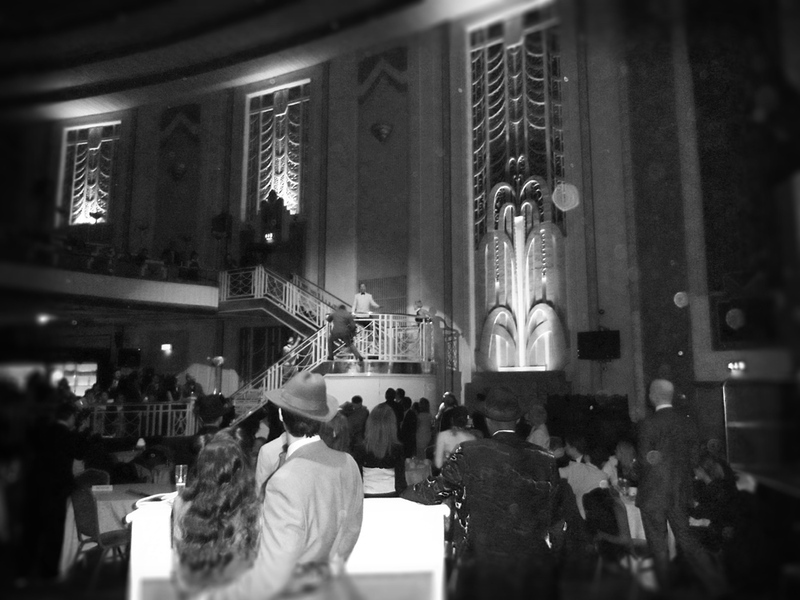 Capturing some of the action of Future Cinema’s Casablanca! Taken by Kitten von Mew. Play it Sam! 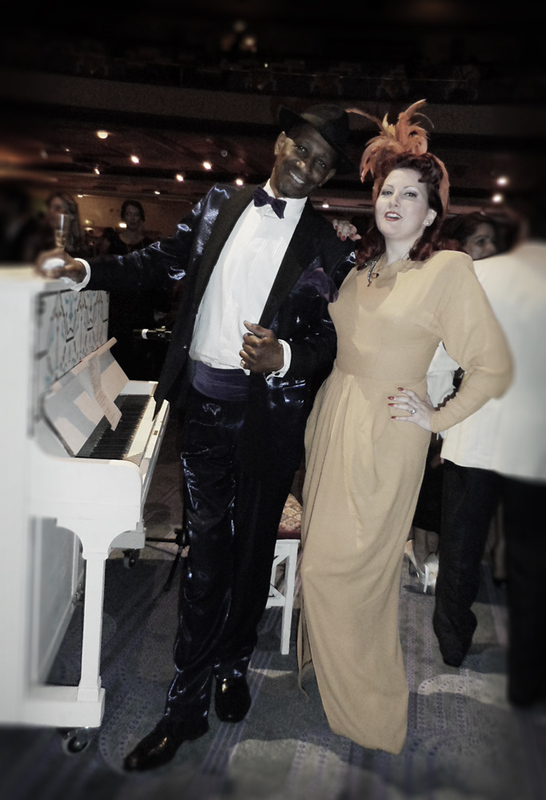 Kitten and ‘Sam’ at The Troxy. What a great way to watch a fabulous film and round off the weekend! 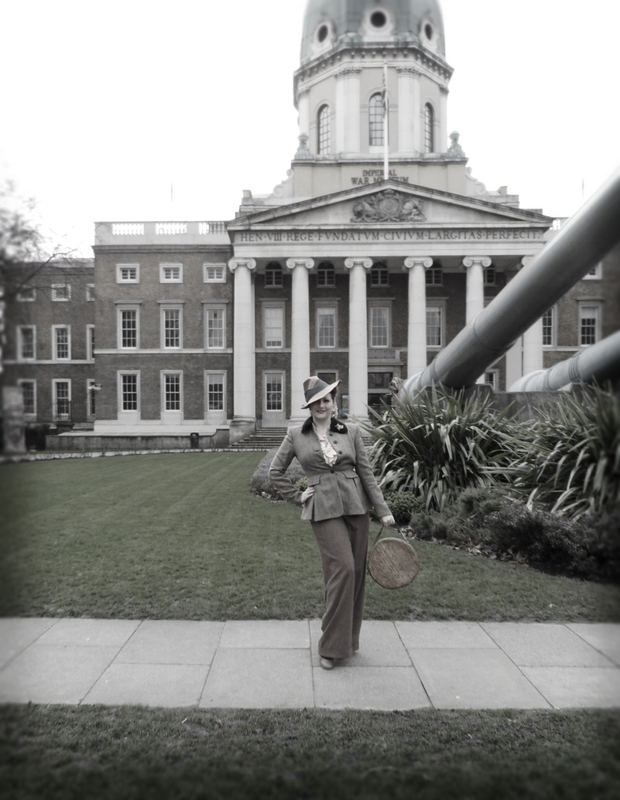 Posted in Day to Day, Events and Performances and tagged 1940's fashion, cabinet war rooms, casablanca, casablanca movie, churchills war rooms, future cinema, imperial war museum, kitten von mew, london museums, richard von mew, ricks cafe, secret cinema, troxy, winston churchill, ww2 london, wwii london. Bookmark the permalink.